Hany is a cordial, easy going, somewhat serious handsome man. I visited with him in his hometown and we sat down to talk about what happened to him, his restaurant, and how he is coping with life now. Four people were hurt before one of the employees grabbed a baseball bat and one of the customers got hold of a chair and both attacked the assailant who ran outside the restaurant and got into a car that one person registered its license plate number. At the same time the police were called in and they got hold of Barry a short distance from the restaurant. The policemen ordered the assailant to get out of the car and he did with the machete in hand ready to attack. He charged toward the policemen, yelling the standard Moslem phrase “Allahhu Akbar.” First the police Tasered Barry unsuccessfully so they shot him dead. When it all happened, Hany, out on an errand, was called to return to the restaurant at once. For the first few days he was too busy taking care of his staff and customers. He was too busy to take a moment to reflect on what happened. By Wednesday, when Hany did not hear from any government officials he became furious. 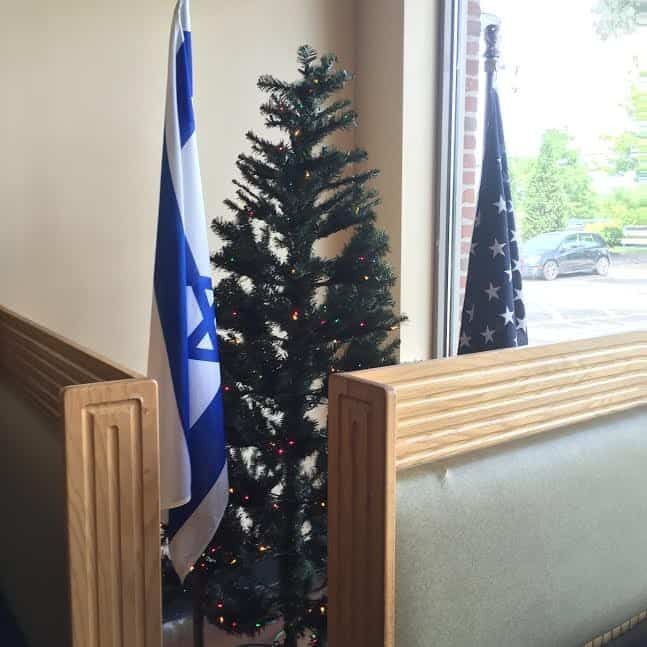 To his knowledge, when the Columbus mayor delivered his state of the city speech two weeks later he did not as much as mention the terror attack on his restaurant. That was painful to endure. The government took no responsibility for its ineptness to protect its citizens. Hany was facing the responsibility, at no fault of his, all alone. He had to pay for all charges that were piling up, huge cost for a small business owner. No one came forward to share in the responsibility, not the legal, financial, humane or out of decency, that a nomad, illegal, Moslem terrorist unleashed a terror act on totally innocent people. The first thing was anger. After all, Hany left the Middle East where Islamic terror is mainstream to live in tranquil Columbus, Ohio, and there, in his sanctuary, the Islamic terror reached him. The government appears to be pro terrorist, denying the act of terror. Hany had to now deal with a subject he never in his wildest dreams thought about. He resents how the USA authorities mishandle Islamic terror cases and how they treat Islamic terror victims, which now he became one of them. “To me it seems that the government is pro terrorists and they deny the act of terror so in fact they promote terror; they help the terrorists win by destroying the victims,” Hany exclaims bitterly. Hany is a proud expat. 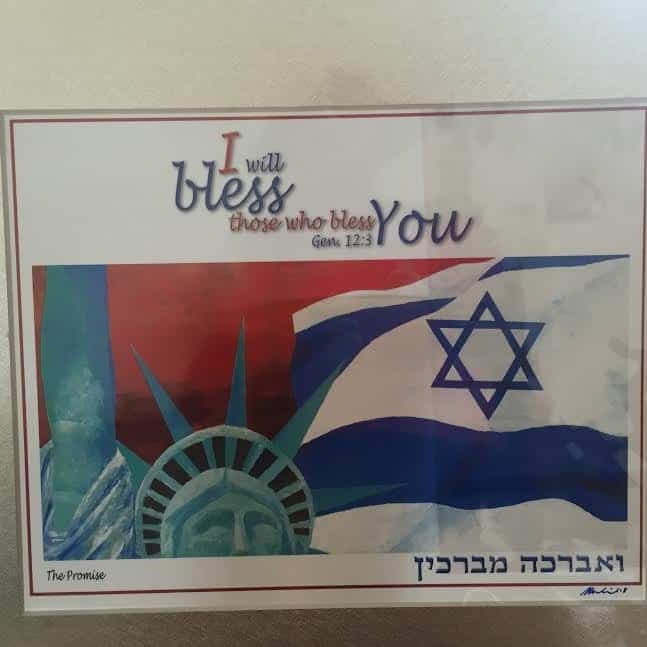 When the news came out, among the first to reach out to him was Israel ambassador to the USA, Ron Dermer. 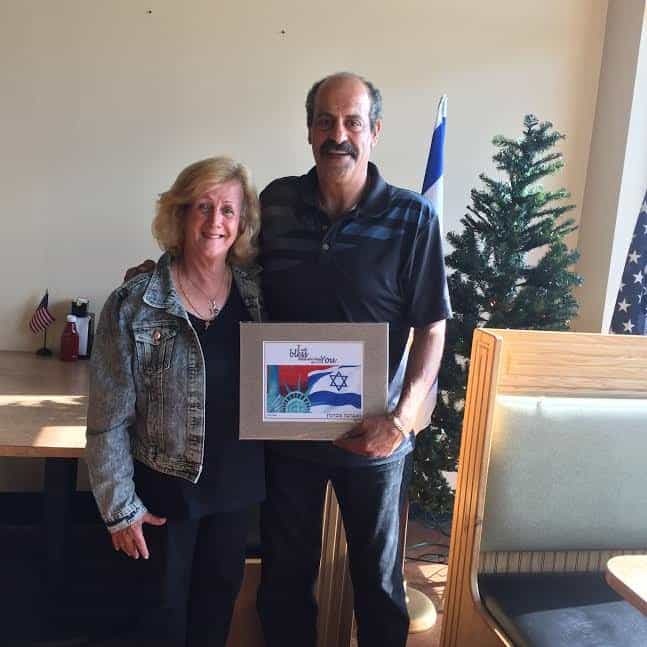 Mr. Dermer invited Hany to the embassy in Washington and gave him a large flag of Israel, now proudly on display in the restaurant’s window next to the American flag. On behalf of the government of Israel, Dermer offered Hany moral support. After all, Hany was born in Israel and now more than ever, Israel was deep in his heart. In between all the craziness and confusion, Hany took a long overdue trip to Israel to catch up on visiting family and friends. 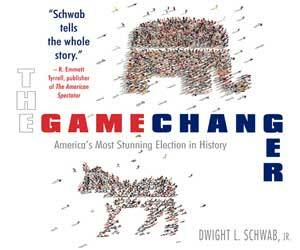 That trip only strengthened his support for the country, which he is now actively pursuing. At first, Hany thought he was heading for bankruptcy but he managed to hold strong and above the stormy waters. 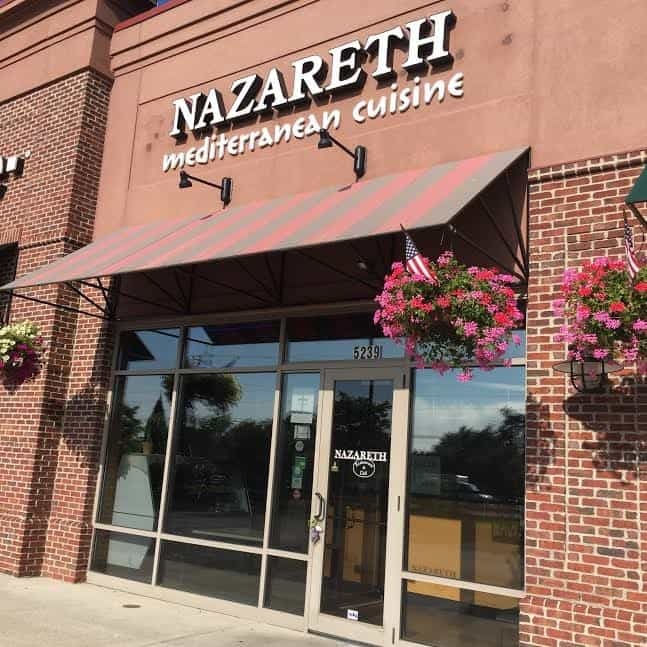 The Nazareth restaurant is back to almost normal operation with slightly leaner menu. “It will take me a year before I fully recover,” Hany makes a foreseeing statement. To say he is not still worried is an understatement. To bring people together to heal, to share good food, culture and even some politics, Hany plans to offer once a week an Arabian-Israeli night with a belly dancing performance. If you would like to take part in such night, just make the call: (614) 899-1177. Hany Baransi, one other person, who, through a misfortune was woken up to see our world’s present reality and act upon it. Mohamed Barry wanted and tried to kill an Israeli at heart, and an Israeli soldier was born out of it.